The capital of the Republic of Croatia, the administrative, political, business and academic center, is a city that offers multiple cultural events and possibilities of entertainment. The city evolved out of two medieval settlements, mentioned as early as 11th and 13th century and the remains of which have been preserved to this day. Today, the population of the city is approximately 800,000. The average temperature is 20 oC in summer and 1 oC in winter. Zagreb is marked by the old city core of Gornji grad (Upper Town) and the lively streets of the city center, the river Sava and Medvednica Mountain that rises in the background landscape of the city. The green surfaces are in abundance and the outdoor markets are appealing to tourists. Multiple cultural events take place throughout the year and there is an interesting shopping offer. The airport is located 17 km from the city center with regular transportation lines to the center. The city railway and bus stations are located in the very center of the city and can be reached by car through main roads that connect Central Europe and South Europe, or Western and Eastern Europe. This second largest city in Croatia has millennial history visible at every corner of the city center. The Mediterranean temperament and busy rhythm of the city, numerous cultural and historical monuments, cultural and sport events, are some of the countless reasons for a visit. Split is located at the very center of the Croatian Adriatic. It is at this exit to the Mediterranean that the Emperor Diocletian decided to build himself a royal villa in the 3rd century to which he retired after abdicating from the throne. Today, the population of Split is 200,000. The exceptional summer cultural stage becomes a sunny oasis in winter. Split can be reached by modern roads and railways from the continent, by air at the airport 25 km from the city and by sea through domestic or international boat lines. Rijeka is a significant industrial center of the northern Adriatic and the port closest to inland Croatia. It is a city with long history and a strong urban center, the city of culture and art. Known throughout the world for its carnival, Rijeka has been developing the culture of “korzo” (the promenade) for centuries, along with alternative cultural scene and cosmopolitan spirit. The settlements in the area of Rijeka date back to prehistory and there are many cultural-historical sites in the city. Today, the population of Rijeka is 150,000. The climate is mild, Mediterranean. Rijeka has excellent travel connections to the continental part of the country; it takes less than 2 hours to get there from Zagreb. Rijeka can also be reached by train, sea lines and air through the airport located at the nearest island of Krk which is connected to the inland by a bridge. Osijek is located in the Slavonian plains in the Croatian strongest agricultural region. The center of the region and one of the largest Croatian cities, Osijek has an interesting cultural offer. It was mentioned for the first time in the 12th century as the crossing point over the river Drava, but the first settlements in this area date back to the earliest prehistoric times. Today, the population of Osijek is 90,000. The town can be reached by railway and roads. Pula is the largest city of the Istrian peninsula and the administrative center of this Croatian region. According to the latest census, the population is 60,000. Pula can offer pleasant moments of rest to tourists, interesting cultural and historical sites, walks through cultivated parks, excellent cuisine which combines regional Istrian specialties and Mediterranean delicacies, and exceptional program of cultural entertainment. Numerous monuments are witness to the significance of historical settlements in Pula. Some of them date back to the Illyrian times, but most of them are from the ancient Rome, the most famous being the Pula amphitheatre – the Arena. Today it hosts numerous globally known artists and ensembles thus connecting the ancient and contemporary times. Apart from access by roads and the sea, Pula can also be reached by an airplane, for the airport is only 5 km away. Located in the northeastern Croatia and dubbed the Baroque city, the beauty of Varaždin city core has always attracted the eye. Varaždin has been equally significant throughout the history: it was honored with the title of the first Croatian royal city in the 13th century, it was the political center and the place where the sessions of the Croatian Parliament were held, the church center, center of government and the capital city of Croatia, the place where the first Croatian “government” was established. The city lost its social significance after the devastating fire, but continued to develop as the city of higher learning, culture, craftsmanship and tourism. Its centennial spirit has been revived by Špancir Fest, a festival that has had an increasing number of visitors, and many great artists have performed at the VaraÅ¾din Baroque Evenings. The city has 50,000 residents today, a number quite suited to the man. Varaždin is located at the main road direction from Hungary to the Croatian Adriatic, and is easily accessible. Karlovac is a city in central Croatia, half an hour away from Zagreb. The city has as many as four rivers, while geographically it combines plains and mountains. The city is the ideal location for short trips for those who like a mixture of nature and visits to museums and historical sites. Today, Karlovac is a major traffic center located on the modern highway that connects Zagreb with Rijeka and Split. The city has about 60,000 residents. It was erected in the 16th century to serve as defence from the Turkish invaders, as the city core with the unique shape of hexagonal star that can be found in only 2 other cities in Europe. Apart from the road and railway access, there is also the possibility of arriving by plane to the Zagreb Airport that is only 50 km away. Rovinj is a town on the western coast of the Istrian peninsula. The old part of the town is one of the most recognizable views of the Croatian Adriatic. Located on the peninsula, this protected historical town with stone streets and houses rises uphill to the Church of St. Euphemia, the town’s patron saint. Rovinj was mentioned as early as the 4th and the 5th century under the names of Rigno, Ruvigno and Ruginio, but the surrounding settlements date back to the prehistoric age. Over the centuries, Rovinj has been conquered and has changed its rulers, leaving behind a great number of archaeological remains in its historical core. Together with other Istrian towns and islands of the Kvarner, it was annexed by Croatia back in 1947, and today it is an integral part of the independent and sovereign Republic of Croatia. The town population is approximately 13,000, of which 2,000 belong to the Italian national minority. Rovinj, the pearl of Istrian tourism, has a Mediterranean climate and the tourist season here is not only limited to summer months, but it lasts almost throughout the year. Besides the town itself, the islands of the Rovinj Archipelago are also appealing, there are altogether 22 islands among which Sveti Andrija (St. Andrew) and Sveta Katarina (St. Catherine) are the largest and the most beautiful. Special reserves, protected natural sites, are especially valuable: the islands and coastal area stretching from the island of Sveti Ivan (St. John) to Dvije sestrice (Two Sisters), the sea of the Lim Canal and the area of Lim Bay, “Punta Corrente” park-forest, Palud Swamp, the Cave of Romualdo on the south side of the Lim Canal and the “Cave di Monfiorenzo” quarry, a geological “historical monument” of its kind. Poreč is a city of culture, tourism, sports and entertainment located on the western Istrian coast. Numerous well-preserved monuments in the historic core of the city and tourism of high criteria, have built the tourist image of Poreč, which is confirmed by many awards. The city was built by the Romans and called it Parentium, and then, in the historic center of the peninsula, reflected the whole of Europe's history, which is said by many monuments. Porec has a mild Mediterranean climate. The surroundings are rich with pine forests and other characteristic coastal vegetation. Cultural and entertainment events in Porec are numerous. Already a walk through the city reveals numerous historic sites. There is also a rich offer as well as a street scene that further enlivens Poreč streets filled with tourists. Situated at the point where the Mediterranean is closest to Europe, the Kvarner Bay, Opatija is easily accessed from the continent by the Zagreb-Rijeka highway, or by roads from Italy over the Istrian peninsula. Opatija can also be reached by train, or by plane via the nearest airports. Protected from strong winds by a high mountain, Učka Nature Park, Opatija has long developed tourism that lasts throughout the year, offering summer vacation and pleasures of the Mediterranean climate during the winter on the continent. Cultivated parks, some of which are protected monuments of garden architecture, the extraordinary ambiance created by the villas from the Austro-Hungarian period, widely known promenade Lungo mare by the sea and the beaches, have attracted the tourists for 160 years. 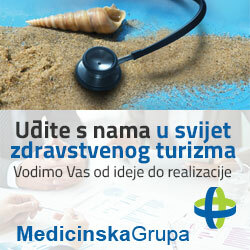 Opatija has risen to a leading conference and seminar location due to its top tourist offer. Opatija was first mentioned in the 15th century as the settlement by the St. Jacob’s Abbey. Today it has 12,000 residents. The coastal town of Selce is located in the Kvarner Bay near Crikvenica, approximately 35 km south of Rijeka. A former fishermen’s town, Selce has had more than 100 years of experience in tourism and is drawn on the Croatian tourist map as an appealing tourist destination. A pleasant and mild Mediterranean climate attracts tourists throughout the year, during the summer with its beaches, the diving centre, numerous water sports, cultural, entertainment and sports events, and, in the winter, with the medical tourism offer and the centre for rehabilitation and physical medicine. The Romans recognized the value of the natural bays and built a late ancient settlement in the 2nd century located on the most important roads of those times. Wine, olive and sheep growing later developed in the area, and it became sea-oriented. Crikvenica has long been a widely known and preferred destination on the European tourist map. Many famous people have visited it and expressed their wish to return, and they often did. Located in the Kvarner Bay of the Adriatic Sea, 33 km from Rijeka, Crikvenica is easily reached by road, rail or air.The settlement dates back to the 13th century, but the first settlements in this area were built in the Roman period. Centuries of Austrian and Hungarian rule left a “mitteleurope” mark which can especially be seen on the hotel buildings. The climate promises enjoyment in the sea and sun during the summer, and the benefits of winds and the Mediterranean environment during winter. The latest research and evaluation of the characteristics of the local climate have prompted building of health facilities. The visitors of Crikvenica can choose from a wide selection of land and sea sports activities and entertainment events: concerts, exhibitions, traditional events…Recreation activities are available throughout the year, and the eight-kilometer long promenade lungomare is a particular asset for both the hikers and the bikers. Vodice is a tourist centre located only 11 km from Šibenik. It is easily reached via road, air and sea. Tourism has been the main industry in Vodice and the surrounding areas for 50 years and has fully developed, offering countless possibilities for each individual taste. Vodice has interesting tourist attractions to offer, both during and after the main tourist season. The customs and events in Vodice during the Christmas and Easter holidays, and carnival festivities are also widely known. The main season is full of exhibition openings, concerts and festivals of Dalmatian klapa singing, classical music and jazz. For all those who want an active vacation, Vodice has much to offer, and for those who enjoy fine dining, there are specialties of healthy Dalmatian cuisine offered in the restaurants and taverns. There are cultural-historical monuments both in the town and in its surroundings due to the fact that the Vodice area was the site in which rulers and civilizations often changed. All those who choose Vodice as the starting point for new experiences, will choose correctly, because they will find many natural beauties to be within reach: Krka Natural Park, Kornati Natural Park, Vransko jezero Nature Park and the Falcon Center where you can learn about the life of the falcons and necessary falconry skills. Since looking after the environment is a priority in Vodice, visitors will leave the town with memories of cultivated lawns, flower gardens and clean and neat beaches. Makarska is the central town of the Makarska coastal area which is known for its natural beauties and pleasant climate throughout the year due to the Biokovo Mountain that protects the Riviera from the influences of the continental climate. The ambiance of sand and pebble beaches and thick pine forests is filled with promenades, tourist attractions, restaurants with irresistible menus and entertainment possibilities for all ages. Makarska can easily be reached both by road and air, via the Split Airport. As beautiful locations have been recognized by conquerors throughout history, the remnants of the first settlements date back to the 4th century, and Makarska was first mentioned in the 16th century. Built during the Venetian rule, this town blossomed during French and Austrian rule. The selection of sports activities and sports fields is extraordinary, and the natural forest environment makes activities pleasurable even on the hottest summer days. Dubrovnik is one of the most recognizable images associated with Croatia, a city of unique political and cultural history, listed as the UNESCO World Heritage Site due to the value and beauty of its monuments. The sentence “Freedom is not to be sold, not for all the gold of the world” is carved in the gates of the unconquerable Dubrovnik fort and, indeed, the freedom was never yielded. For centuries… Many conquerors have set their eyes on Dubrovnik over the centuries, but Dubrovnik still managed to politically maneuver its way to full sovereignty, under the name of the Republic of Dubrovnik. Today, Dubrovnik and its surroundings offer rich and high quality touristic activities, from sightseeing of the walls and cultural historical monuments, through an exceptional gastronomic selection, festivals and other cultural events – the most prominent being the “Dubrovnik Summer Festival”, trips to the surroundings and islands of fascinating beauty, sports and entertainment events outdoors while enjoying the sun and the sea and relaxing in the Mediterranean environment. Every corner of Dubrovnik is extraordinary and an experience of its own kind and the abundant touristic attractions will ensure that no expectations remain unfulfilled.